Today’s post is going to be an update on how The Agency Games (a working title) is coming along with the publishing house. However, before I get into that, I just want to say thank you. The past couple of months have been extremely difficult with my grandfather’s sickness and passing. I have not been as present in the blogging community as I would like. Some days, it’s hard to find the motivation to be as productive as I am used to. However, every day that passes, I feel a little more like myself and while most of that is because of God’s grace, part of that is because of you: my blogging community. Thank you to each and every one of you who have commented on my recent blog posts offering your sympathy, your condolences, your prayers, your hugs, and your comfort. I am more grateful for your friendship than you could know. I am also grateful for the growing interest in my book The Agency Games which takes an in-depth look at the popular Hunger Games trilogy written by Suzanne Collins. Many of you are already familiar with this project; last summer you stood alongside me as I worked on my word count (75,000+) and last fall you encouraged me when the Peer Review process turned out to be more brutal than I expected. A couple weeks ago, I received my feedback from the third peer reviewer and their words caused both myself and the publishing house to take a step back from my book. Basically, here is the conundrum in which I found myself. Was my book geared for a scholarly or a popular audience? In general, a scholarly audience consists of “scholars” while a popular audience consists of your average bibliophile who enjoys reading for reading’s sake alone (not necessarily for in-depth consumption). In my experience, some “scholarly” books and articles (at times) seem to include unnecessarily complicated passages in order to appeal to a specific society. On the other hand, some “popular” books or articles might fall prey into “dumbing down” a complex topic. I had always intended for my book, The Agency Games, to be a bridge in between these two genres. I wanted The Agency Games to be an accessible read for the average Hunger Games‘ fan while at the same time being scholarly enough to pique their interest and encourage their own in-depth examination of familiar texts. However, most of my Peer Reviewers were expecting a more “scholarly textbook” and were, understandably, disappointed by my book. Together, the publishing house and I knew that I would need to take a firm stance on either going all scholarly or throwing myself into the “popular” genre all together. After some thought, the choice was clear. I specifically want Hunger Games’ fans to read my book. I want fellow bibliophiles to be inspired by the books we read as they realize the power these books hold to reflect and influence our current society. Therefore, with this in mind, I have one last stage of editing to go through. Once again, I will pour through my book and this time, I am addressing you. That’s right, YOU, my fellow “tribute” and lover of the Hunger Games trilogy. My book will be an investigation of the series that we both love, it will incorporate outside scholarship, and it will be done in a manner that hopefully enlightens, encourages, and reveals what current human agency looks like and why the Hunger Games trilogy is key to understanding our own society. The Agency Games – Sign Up! © KaylaAnn and KaylaAnnAuthor.wordpress.com, 2018. Unauthorized use and/or duplication of this material without express and written permission from this site’s author and/or owner is strictly prohibited. Excerpts and links may be used, provided that full and clear credit is given to KaylaAnn and KaylaAnnAuthor.wordpress.com with appropriate and specific direction to the original content. Let me be honest. Failure is going to be a part of your writing career. It just is. And let me honest again. Failure is going to be a part of life. We are humans, we cannot succeed at everything, all the time. So, before you begin your career as an author, an artist, a composer, a teacher, whatever you choose, accept that at some point you will fail. Failure is only a moment in time, a response to a singular incident. Failure does not define you or your career. The best option, and really the only option you have to success, is to accept failure and then move on from it. Sometimes our failures will be small. For example, I failed a lot of my daily word count goals between the months of November – January. However, I did not let that stop me. I did not throw my hands in the air and say, “Well, I failed, it’s over!” Nope, I moved forward and planned to begin writing in earnest again. Sometimes our failures will be big. For example, I’ve just recently received my review from my third reader and let’s just say, it wasn’t great. Now, I’m stuck where I have two decisions and either decision will require drastic change to my manuscript. However, that does not mean that I give up, I pick myself back up (after I cried my eyes out) and I get ready to face the problem head on. So accept failure, but do not let it define you. Do not let it stop you. Do not let it hinder your progress. Acknowledge it, learn from it, be strengthened by it. I’ll keep you updated on my book, The Agency Games, once I have some more information. Please wish me luck and keep me in your prayers as I work toward this goal and attempt to decide what is best for my manuscript. Accept Failure but Never Stop Moving Forward. Today, I am taking a break from our regularly scheduled Blogmas posts to keep you updated on the publishing process for my book The Agency Games. For those of you who are new to my blog (Welcome! ), The Agency Games is a nonfiction analysis of the popular Hunger Games series where I investigate human agency and how it affects primary characters such as Katniss, Peeta, Gale, Haymitch, Cinna, Prim, Rue, Finnick, Mags, Joanna, Beetee, and more! Anyhow, as many of you might remember, I am currently in the “Peer Review” stage of the publishing process. I have two readers who reviewed my book back in August. One of them loved it and the other was not impressed. So the publication house sent out my book to a third reader to be the tie breaker. However, back in November, when I was supposed to receive my feedback, my third reader backed out due to health reasons and so the clock was set back once again as I waited for the publication house to locate a new third reader. I am happy to announce that as of this past weekend, the editors have located a new third reader and I should be receiving my feedback sometime toward the end of January in the new year! Additionally, the editors have gone ahead and scheduled me a final due date for the revised and improved final draft of my book for April of 2019! It has been a long road, but one that I am so grateful to have the opportunity to walk! Thank you all for sticking alongside me, encouraging me and supporting me. I sometimes wonder if this book will forever be in limbo (something that will one day happen but not today) and then other days, like today, I can imagine holding that physical representation of all my hard work in my hands. This book has become more than just my “first” book. Some of you may remember that my grandfather is currently dying from cancer and it’s hard, and sometimes, he is not all there. But other days, he is. The other day he asked me when I was going to start publishing my books because he always knew that I would succeed. My entire life, he has pushed me to reach for the stars and I am so grateful for that. He inspired me to work hard and to persevere. In a way, finishing this book has now become a testament to his influence on my life. Excitement does not begin to describe how I feel. I am one step forward to becoming an official “published” author and I know that I would not be where I am today without the support of my family and friends! So, here I am with another update on my upcoming non-fiction analysis of The Hunger Games. My book, The Agency Games (working title), is currently in the editor’s and peer reviewer’s hands. As some of you may remember, my book already underwent round one with peer reviewers. One of my peer reviewers LOVED it and the other was not quite a fan. So, to break the tie, the editors wanted me to revise, rewrite, and resubmit my book to a third peer reviewer. After making some pretty crazy tweaks and adding in more content, I sent back my book and it was placed in the hands of a peer reviewer about five weeks ago. Then, I received an email a couple days ago from my publishers. Unfortunately, something happened with the third reviewer beyond their control and they had to back out. This means that my book is back in limbo as I wait to hear back from publishers as they attempt to find a different third reader to peer review my book. Once they find a new third reader, it will be another 6-8 weeks before I hear back from the publishers with the third reader’s comments. While part of me is super bummed out (my book will definitely not be published by the end of this year), I am rolling with the punches. And honestly, this timeline might work out better for me. If I am lucky, I will hear back before Christmas and have some time over Christmas break to work on revisions, but we will see! Thank you to everyone who has encouraged me and supported me through this long process! As a first time author, everything is new to me and having all of you along for the ride is so comforting! I’ll let you know what happens next! So last Wednesday I received the long-awaited email back from the editors. In May, they sent out my manuscript to two scholarly peer reviewers who then read and returned my manuscript with their feedback. The editors in turn reviewed their comments and reached out to me with their feedback (lots of feedback.) And, the results were mixed, leaving me a lot like this . . .
One of the peer reviews absolutely LOVED my book and while they offered me some critiques on how to improve it, overall, they were quite happy with the manuscript. The other peer reviewer did not like my book, at all, and offered more criticism than critique. So, where does that leave me and my book, The Agency Games? Yup, criticism hurts, (A LOT) but ultimately, I am going to use it to improve both this book and my overall writing abilities. The editors have offered me a chance to revise and rewrite according to some of the critiques before they send it out to a third peer reviewer who will be a “tie-breaker” of sorts. I believe that this will (unfortunately) push back the publishing date, but I am determined to push forward. Hopefully this delay will ultimately be worth the improvement. While this certainly did cause my confidence to take a pretty nasty blow, I am lucky to be surrounded by family and friends who encourage me that even J.K. Rowling was rejected numerous times. Not everyone will love your work, but that does not mean that you stop writing. I am grateful for the positive critique that I received, and while I did not necessary expect some of the criticism, I am going to use every comment to improve my work and reach my goal! Have you been rejected? What was your response? 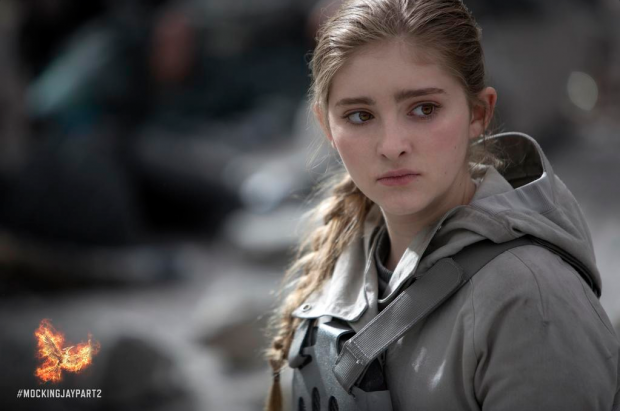 Primrose Everdeen (Prim) is the younger sister to Katniss Everdeen and the youngest daughter of Mr. and Mrs. Everdeen. She is only twelve years old when the series begins and she is only fourteen when she is killed in a bombing. Because of her youth and her feminine appearance of a young, naive, helpful, little girl, many scholars skirt over her importance to The Hunger Games trilogy. However, Prim is the key element to the entire series. If Prim had never been reaped, Katniss would never have volunteered. If Katniss had not gone into the Games with Peeta and defied the Capitol, the revolution would never have ignited. If the revolution had never begun, the Games would continue on with President Snow in charge of Panem. In one of my last chapters, I discuss how every action that Katniss takes is in protection of her sister Prim, primarily because Prim represents hope. Gale Hawthorne – a Seam-born resident of the poorest district and also a famous and brutal soldier for District 13 during the Mockingjay Rebellion. Gale Hawthorne, from Suzanne Collins’s Hunger Games trilogy, is one of those characters that readers cannot help but to love. Even after Gale’s actions become questionable, readers still defend him. Gale’s physical and mental capabilities are often unmatched. He is brave enough to hunt in the woods, strong enough to endure work in the mines, and smart enough to design and create snares and traps. Gale is powerful in many ways and yet, in others he is extremely powerless. He cannot stop Katniss from volunteering, he cannot provide for his family without his brother taking out tesserae, he cannot even start a revolution until Katniss clears the way. In an Instagram survey with 23 participants, 15 said that Gale was Powerless as opposed to Powerful by the end of the trilogy. Throughout The Hunger Games, Gale struggles between enacting power and having power exercised over him. 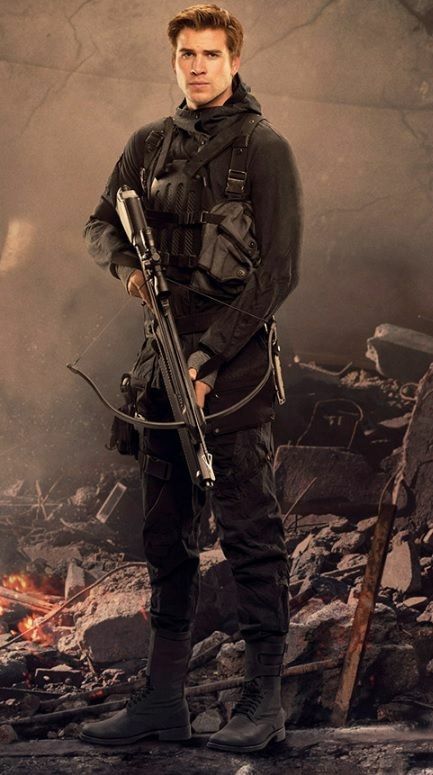 While he starts as a strong protagonist, he eventually fades away at the end of the trilogy, working in District 2. What do you think about Gale’s character? Love him? Hate him? Let me know your thoughts! Is he powerful or powerless? Why? The Agency Games is a nonfiction book which analyzes human agency within the popular Hunger Games trilogy. I will be doing in-depth character analyses of individuals such as: Katniss Everdeen, Peeta Mellark, Gale Hawthorne, Haymitch Abernathy, Cinna, Primrose Everdeen, and more in trying to understand how human agency is discovered, maintained, tested, lost, and regained in a dystopian society and how that relates to us as readers. The goal is to write approximately 500 words per day so that I can meet my goal of 75,000 wordsby May 31st to send to the publishers. On January 22nd, 2018, I posted by first update. I was at a total of 22,000 words. On February 22nd (after a VERY productive month having written 19,000 words), I was at a total of 41,000 words having written 3,500 words more than my original goal. On March 22nd, I surprised even myself at being able to meet by quota and had a total of 55,200 words. In sticking with my original plan to write 500 words a day, I needed to write 15,500 words by April 22nd (meaning I should be at a total of 70,700). Well, let’s see how I did . . .
On April 4th, 2018, I finished the last chapter of my book and I was at only 62,000 words. Not quite my goal. So, I decided to take my own advice. Remember when I encouraged you to NOT edit, but to RE-WRITE instead? Well, that is exactly what I did and am still doing. I pulled up a blank word document, set it next to my current manuscript, and I started over, re-writing every single line. And along the way, I found places that naturally needed expansion. Sometimes, it was a single word or a single sentence. But sometimes, it was a whole paragraph. So after two weeks of rewriting, I have re-written the introduction, the first six chapters and started working on my appendixes. I have a total word count of . . . I didn’t quite hit my goal of 70,700 words, but I’m pretty proud of what I have accomplished! Plus, it’s a little slow going with re-writing everything. I still need to finish re-writing the last six chapters and the appendixes which should push me to the 75,000 goal! I’m getting closer to completing the fourth draft of this manuscript and then I plan to print it out and double check errors before sending it out. I won’t lie, some days I really feel like this . . . But I am going to push forward and I really hope to get this manuscript sent out within the next three weeks! Thank you to everyone for your continued support! I can’t believe this is almost over! Meanwhile, I’ll just be over here like . . . The goal is to write approximately 500 words per day so that I can meet my goal of 75,000 words by May 31st to send to the publishers. There were 28 days between February 22nd and March 22nd, and at 500 words per day, my goal was to write 14,000 words. Meaning, that I should be at 55,000 words. Let’s see how I did . . . Okay, I won’t lie, I am totally surprised by that number! There have been some days this past month where I have been unable to write at all because I was so busy with work and wedding planning. I knew that I was behind so these past few days I have been cranking out 1,000 words a day in an effort to catch up and man, am I happy to know that I was able to catch up! While my most productive month was the time between January 22nd and February 22nd, I am pretty dang happy that I was able to meet my quota for this month! The closer I get to the end, the harder it gets. I can feel myself burning out just a bit, but I will continue pushing forward. I am really hoping to finish all 75,000 words by April 22nd so that I can spend a couple weeks looking it over one last time before I send it out. That means that I need to write approximately 20,000 words in 31 days which is approximately 665 words a day. It might not happen but I sure am going to push myself as hard as I can! Thank you again to everyone who is offering their support and encouragement! I appreciate you guys more than you know! But are you really sorry, Cinna? Do you really want to help Katniss? Or are you simply using her to form a figurehead for the rebellion? Did you know that several scholars claim that Cinna manipulates Katniss for the rebellion just as much as other stylist manipulate their tributes for the Capitol? After all, he constantly pushes the Mockingjay aspect of her wardrobe, he creates the rebel image. And yet . . . He seems so supportive of Katniss! And Katniss truly loves him and sees him as one of her only true friends. He protects her and strengthens her with his design choices. In my book, The Agency Games (working title), I will explore the relationship between Cinna and Katniss and decide once and for all if Cinna is friend or foe! What do you think about Cinna? Was he helping Katniss or was he simply using her as the face of the rebellion? Leave your comments below! Visit my INSTAGRAM page for more!